Take advantage of this offer today & Join the Image Sun Family! ​​​​​​​Receive $20 in Image Bucks for inviting your friends to Image Sun. There is no limit to the friend’s that you can refer to Image! 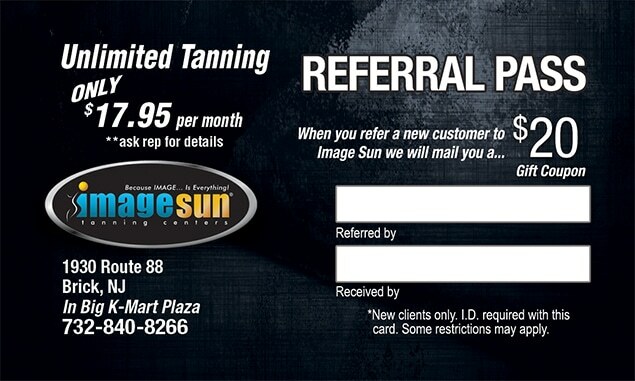 Simply Print and & refer a NEW customer to Image Sun. When they become a member & buy a package, you will be mailed a $20 coupon to use toward a future purchase. Its’ that Easy!